Orbital Sciences Corporation announced today that it has signed a contract with London-based Avanti Communications Group plc for a new geosynchronous (GEO) communications satellite. The spacecraft, to be named HYLAS 2, will be based on Orbital’s Star-2.4 satellite platform. 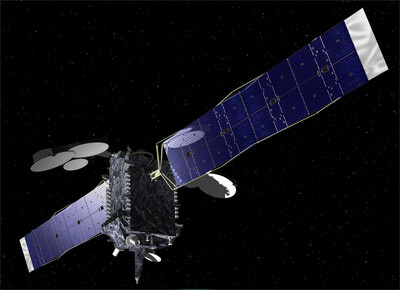 The satellite is scheduled for delivery in early 2012. When the HYLAS 2 satellite is placed into commercial service following its launch and in-orbit testing, Avanti will more than triple the satellite capacity that it will offer with its first Ka-band satellite, HYLAS 1, which is scheduled to be launched in the first half of 2010. Specific financial terms of the contract were not disclosed; however the Export-Import Bank of the United States will provide funding for the project.